Since the launch of MySimpleSite a few months ago, lots of people have requested a cheap WooCommerce website design service. Today we have added an affordable WooCommerce service called MySimpleStore. You can now have a cheap but 100% professional website whether you want a standard brochure-style site or an income-generating e-commerce online shop. MySimpleStore is our affordable WooCommerce website service. We’ve combined our years of experience designing professional WordPress websites to create a one-size-fits-most website solution. A MySimpleStore is a proper WordPress website and you have the full benefits of using the world’s leading web design platform. And the world’s most popular e-commerce platform. However we’ve set it up in a scalable way that lets us design WordPress websites for a fraction of the cost. We’re using a more template-based approach that lets us design professional websites much faster without sacrificing quality – hence the cheap price tag. MySimpleStore is a fully managed, hosted WooCommerce service. This makes the stores quicker and easier for us to maintain, reducing the cost to you. 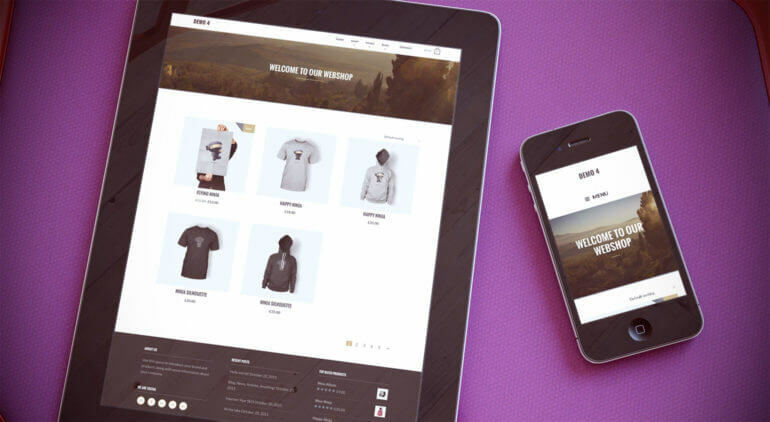 WooCommerce is the a WordPress plugin and the world’s leading e-commerce website platform. According to the latest WooCommerce stats for 2017, it powers over 41% of ALL online shops globally and is growing in popularity. Most WooCommerce web design services cost several thousand pounds. Some companies offer WooCommerce websites for approx. £1,000 but this is unusual. By leveraging the time savings of MySimpleStore, we’ve devised a way to design cheap WooCommerce websites for significantly lower costs. What features will my cheap WooCommerce website have? As you can see, this standard WooCommerce functionality is more than enough for the vast majority of e-commerce online shops. 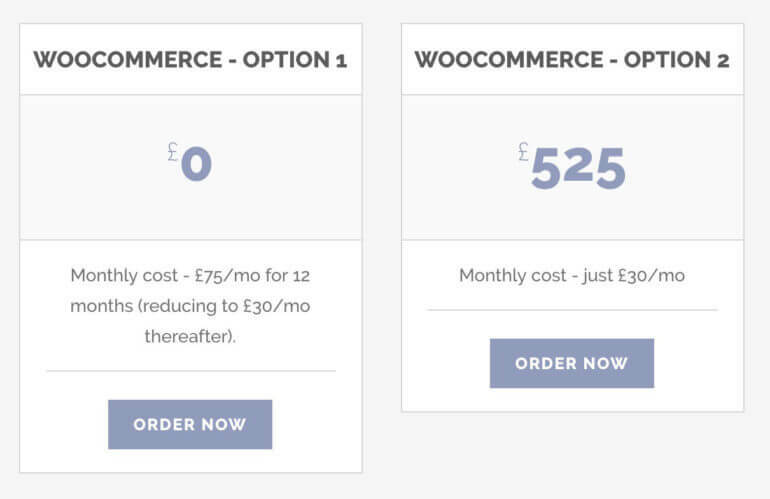 If you’re not sure if our cheap WooCommerce websites include the features you need, get in touch and we’ll advise you. What will my cheap WooCommerce website look like? You can choose the designs shown in any of the MySimpleStore demos. We’ve chosen these to be suitable for a wide range of businesses. They have clean and modern designs that meet the latest web design trends and will effectively promote your products. 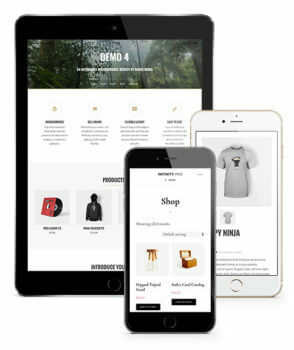 The WordPress themes used for these designs are fully compatible with WooCommerce. Your standard pages (Home, About, Contact), your blog and shop pages will all integrate beautifully. You can help us to help you to get a fantastic WooCommerce website. Check out our tips for getting the best from a cheap website design. Just like the brochure-style MySimpleSite websites, we’ve created 2 WooCommerce website price options. You can choose either a free website setup followed by a slightly higher monthly cost for the first year, or an upfront payment of £525 followed by a lower monthly cost. The cost for a cheap WooCommerce website is slightly higher than the cost of an information-based WordPress site. This reflects the extra complexity of using WooCommerce, while still being affordable and competitive. What about my WooCommerce SEO? While the cost of your cheap WooCommerce website doesn’t include optimising it for search engines, it will be built to be SEO-friendly. We’ll install the excellent WordPress SEO plugin by Yoast and give you the tools you need for better SEO. To further boost the search engine ranking of your online store, we’d recommend one of our ongoing WooCommerce SEO services. We’re experienced in WooCommerce SEO and will build your rankings over time through a mixture of SEO, PPC and social media marketing. I’m a WordPress developer. Can I resell your low-cost WooCommerce websites to my own clients? Absolutely, MySimpleStore is available as a white label service. See our post: ‘Designers & Developers: You can finally help clients on lower budgets‘. How can I get my new website? To order a cheap but professional WooCommerce website, to go the MySimpleStore page. Read through the information to make sure it includes everything you need. You can then click the button to Order Now and we’ll be in touch soon to get started. Alternatively, get in touch to discuss whether our cheap WooCommerce website service is right for you.